Palestinians working in Israel stand in line as they wait to cross through Israeli Qalandiya checkpoint near the West Bank city of Ramallah, April 25, 2017. Israel has decided to close the West Bank to Palestinian entries and departures for 11 days, from Oct. 3-14, including the seven-day Sukkot holiday. This closure exposes the big lie of the occupation: the so-called economic peace touted by the right as an alternative to the two-state solution. The decision to seal off the West Bank for such an unusually long time, following the Sept. 26 terror attack that killed three Israelis in the settlement of Har Adar, imposes an involuntary furlough on the 63,000 Palestinians who will be unable to reach their workplaces in Israel. (This figure was initially 73,000, but the Agriculture Ministry obtained permits for 10,000 laborers.) Assuming the average Palestinian supports four family members, then almost 300,000 people — including the elderly, women and children — have been deprived of over one-third of their modest income in the past month. Once again, it transpires that closures are not simply a security measure or a populist and punitive deterrent move, but a sophisticated control mechanism over the economy of the West Bank and the welfare of its Palestinian residents. As mentioned above, authorities exempted some 10,000 Palestinians employed as agricultural laborers in Israel from the closure. According to an Israeli military spokesman, these lucky souls are employed in vital sectors and cannot be spared for so many days. I looked long and hard and found no evidence to suggest that the Israeli economy was in dire need of street sweepers in the settlement town of Ariel or fruit pickers in other settlements any more than the Israeli coastal town of Netanya needed construction workers or the Northern Galilee region needed heavy machinery operators. One of the cruel paradoxes of the occupation is that, amid growing international pressure on Israel to freeze construction in the settlements, Palestinian workers are anxiously awaiting new settlement construction permits, perhaps as much as the settlers themselves. In fact, by supporting a boycott of products made in the occupied territories, the Israeli left is depriving Palestinians of their livelihoods in the settlements. International boycott pressure drove SodaStream to move its plant out of the West Bank into Israel, resulting in hundreds of Palestinian workers being laid off last year. Those fortunate enough found work elsewhere or at the company’s plant in Israel. SodaStream announced Oct. 10 that in view of the current closure keeping its workers home, it was temporarily resuming production on its assembly line in the West Bank. The number of Palestinians currently employed in Israel and the settlements is at an all-time high. In 2015, the Bank of Israel reported that the number of documented and undocumented Palestinian laborers had doubled over the previous four years. The central bank’s economists attributed the growth to supply and demand: The Palestinians need work, and Israeli employers want cheap labor, especially in construction. The Manufacturers Association of Israel predicts that the expected relaxation of Israel’s work permit policy in 2018 would expand the Palestinian workforce in Israel by 25%. Shraga Brosh, president of the Manufacturers Association of Israel, expressed satisfaction with the Israeli government’s recognition of “the great economic advantage in employing Palestinian workers in Israel,” according to the Israeli newspaper Calcalist. Their employment, he said, enhances security and promotes economic peace between Israel and its neighbors. Brosh said that thanks to these diligent and professional workers, Israeli industry continues to grow. Indeed, this appears to be an exemplary model of co-existence: one side seeking work, the other needing workers. Palestinian residents of the West Bank who are allowed to enter Israel when they behave themselves are undeniably far better off than their Palestinian brethren living in the Hamas-controlled Gaza Strip. However, this shiny coin of seemingly successful co-existence has two sides. A September 2017 report issued by the UN Conference on Trade and Development unveils the dark side. It reveals several explanations for the growing dependence of the Palestinians on their Israeli masters. The report explains that Area C of the West Bank, which is under Israeli control, cuts the Palestinians off from 60% of the West Bank land and from potential jobs in agriculture, tourism, construction and mining. The decline in the number of agricultural workers in the West Bank stems, in part, from an Israeli interdiction on importing pesticides, which reduced by one-third the number of crops. The dependence on the Israeli currency, the shekel, which in recent years has appreciated 25%, is having a fatal impact on the competitiveness of Palestinian manufacturers and exporters. Israel’s control over these and other sources of income preserves and strengthens the Palestinian dependence on the ruler — the Israeli employer. Every closure makes clear that the establishment of a Palestinian state, cut off from Israel, would impose a life of destitution on their families. Therefore, they are better off preserving the status quo and keeping their distance from the dominant Palestinian Fatah party, which insists on advocating for a two-state solution, as well as from Hamas, which carries out terror attacks resulting in sieges on its territory, unemployment and dire poverty. An economy of peace is certainly a positive concept, just not in the way Israel has promoted for the past decade. For the Palestinians, the words “economy” and “peace” have no significance without adding the word “independence.” As long as Israel controls most of Palestinian territory and resources, the economy only serves to blur the pre-1967 Green Line that defines Israel’s internationally recognized borders and to diminish the value of peace in the eyes of employers and employees. Israeli politicians who deprive hundreds of thousands of Palestinians of their living do not contribute a thing to sustainable peace, neither with Palestinians nor their economy. They actually undermine them both. Palestinian President Mahmoud Abbas (R) talks with Prime Minister Ismail Haniyeh during the first Cabinet meeting of the Palestinian unity government in Gaza, March 18, 2007. GAZA CITY, Gaza Strip — The visit paid by the Ramallah-based ministers of the Palestinian Authority (PA), including Prime Minister Rami Hamdallah, to Gaza on Oct. 2 gave Gaza residents hope that Palestinian President Mahmoud Abbas would also pay Gaza a visit amid media reports that he would take such a step once the PA is in full control there. Abbas was last in Gaza in May 2007, shortly before Hamas seized full control of the enclave in June 2007. Palestinians in the media have been increasingly calling on Abbas to travel to Gaza and lift the sanctions that he imposed in early April to pressure Hamas into relinquishing control over the territory. On Oct. 3, Ismail Haniyeh, Hamas’ political bureau chief, called on Abbas to visit to formally put an end to the Palestinian division. On Oct. 12, senior Fatah leader Zakaria al-Agha said such a visit is coming soon. Agha, who is based in Gaza, told Agence France-Presse that Abbas “will be in Gaza within less than a month,” but did not provide further details. Ahmad al-Majdalani, member of the Palestine Liberation Organization’s Executive Committee and a close associate of Abbas, told Al-Monitor that Abbas would certainly visit Gaza to exercise his duties as president of the Palestinian people, especially in view of the positive climate that followed the PA ministers’ visit. Majdalani said that Abbas had held a meeting of Fatah’s Central Committee on Oct. 5 to assess a trip to Gaza, which the president praised, and to prepare for a Fatah-Hamas meeting scheduled for Oct. 10 in Cairo. A Hamas delegation led by Saleh al-Arouri, Haniyeh’s deputy, and a Fatah delegation led by Azzam al-Ahmad indeed met at the headquarters of Egyptian intelligence to discuss details of a reconciliation agreement and how the consensus government would work in Gaza. The delegations also touched on the issue of Gaza residents hired as government workers by Hamas in 2007 and about the 2011 Cairo reconciliation agreement being the basis of ongoing and future discussions. The sides are expected to continue meeting through Oct. 12. No information has been released on the details of the talks. Haniyeh had called Abbas on Oct. 1 to brief him on the Palestinian reconciliation arrangements and to assure him that Hamas would not put obstacles in the way of a government handover. After its weekly meeting in Ramallah on Oct. 10, the PA stressed its readiness to resume administration of Gaza should the Hamas and Fatah delegations in Cairo reach an agreement in the coming days. Majdalani said that although he understood calls for an Abbas visit, he cautioned in favor of patience and a step-by-step approach in terms of any reconciliation plans. He noted that the Palestinian division has lasted for 10 years, so Abbas is going to need some time to deal with the effects and consequences of it. Naji Shurrab, a professor of political science at Al-Azhar University in Gaza, told Al-Monitor that Abbas wants his visit to Gaza to be the culmination of the Palestinian reconciliation process and to take place once the PA has resumed its duties. He added that visiting Gaza would be a fitting conclusion to Abbas’ political life. Shurrab stressed that at the domestic level, the visit would symbolize Palestinian reconciliation and PA control over Gaza. At the foreign level, he said, the visit would convey the message regionally and internationally that Abbas is the legitimate leader of all the Palestinian people. This, he said, would deal a blow to the argument by Israeli Prime Minister Benjamin Netanyahu that Abbas barely controls half of the Palestinian people, destroying the pretext he uses to avoid participating in a political settlement process led by the United States. Shurrab claims that an Abbas visit has become a political dream for the Palestinians in Gaza suffering from the siege, wars with Israel and a difficult economic situation. Palestinian citizens believe that Abbas’ visit may solve many of the crises plaguing Gaza. Talal Awkal, political analyst and contributor to the newspaper Al-Ayyam, told Al-Monitor that it could take some time for an Abbas visit to materialize given the situation in Gaza and Hamas’ current control of the security services there. Awkal said a visit would be a major development as far as the Palestinian cause is concerned, with the end of internal division. Meanwhile, Palestinians in Gaza will be impatiently awaiting Abbas and his lifting of sanctions to relieve the suffering that many of them have been enduring. Egyptian security services arrested a well-known singer on Friday morning while he was eating in a Cairo restaurant, local websites have reported. Rami Sabry was picked up following the issue of an arrest warrant. Although Sabry’s family did not comment on his arrest, according to Al-Arab he was taken away after trying to avoid military conscription. Masrawi news website said that the singer was handed over to the military for him to start his compulsory service in the armed forces. Three young Palestinian women are suing two Israeli airlines, El Al and Arkia, for an “intrusive body search” for racial profiling by Israeli security personnel in Belgrade Airport. The three women, who are Palestinian citizens of Israel, told Al Jazeera that the body search – which took place last October – went well beyond a pat-down and amounted to sexual assault. The incident exceeded two hours, during which the women say they were threatened with being denied permission to board the plane if they did not agree to a strip search. The defence has until October 20 to answer to the charges, after which the court will appoint a trial date in Tel Aviv. Awni Bana, the lawyer representing the three women, told Al Jazeera that his clients were subjected to a strip search simply because they were Arab. Illegal under international law, racial and ethnic profiling is defined by the United Nations as “reliance by law enforcement, security and border control personnel on race, colour, descent or national or ethnic origin as a basis for subjecting persons to detailed searches, identity checks and investigations”. The trip to Belgrade was meant to be a short break for the three young women before they resumed their Masters’ studies at the Hebrew University of Jerusalem. 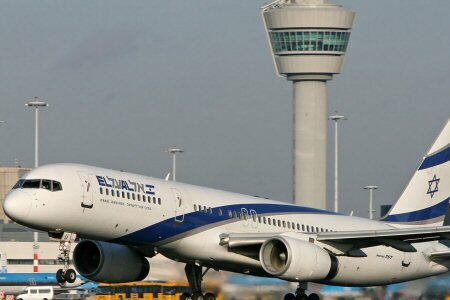 They bought their tickets from Arkia Airlines, but El Al handles security checks for all Israeli airlines, including flights bound to Israel. The women say they were the only passengers pinpointed for extra screening. One of the women fainted during the strip search. ACRI lawyer Shatha Amer told Al Jazeera that the NGO has been in the process of gathering testimonies of passengers subjected to “discriminatory practices” at Ben Gurion Airport, with an ultimate goal of going to court to argue for a policy change. “By default, you are put under suspicion if you are an Arab,” Amer said. In 2007, ACRI filed a legal petition asking the Supreme Court to rule against ethnic profiling at airports and arguing for the “implementation of uniform and equal criteria for all security processes”. But in 2015, Israel’s high court annulled the petition, effectively avoiding a ruling on the practice of ethnic profiling. The high court said that new measures adopted at Israeli airports, which allowed for the screening of travellers away from the public eye, made it unnecessary to rule on the matter. A “hold baggage screening” system was introduced two years ago at Ben Gurion Airport, providing an “automatic security check system for inspection of passenger luggage”, according to the Israel Airports Authority’s website. 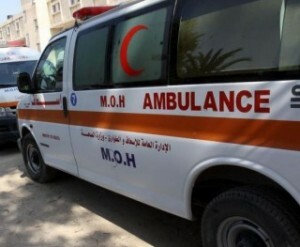 Palestinian medical sources have reported, Friday evening, that a Palestinian man was injured after an Israeli military jeep rammed his tractor as he was crossing an agricultural road, causing moderate wounds. Eyewitnesses said the speeding army jeep struck the tractor, throwing the man, identified as Saber Hannoun, out of his agricultural tractor. 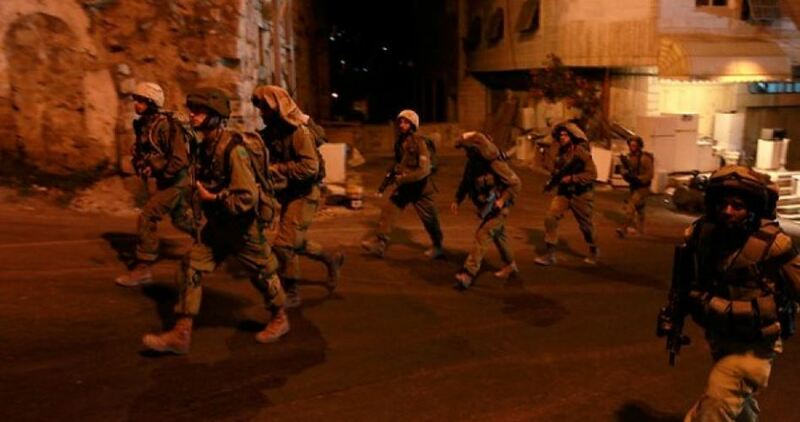 The Israeli occupation forces (IOF) at dawn Saturday stormed Ya’bad town, south of Jenin in the West Bank, and kidnapped two Palestinian citizens from their homes. Local sources told the Palestinian Information Center (PIC) that Israeli troops aboard several military vehicles stormed the town, raided two homes and rounded up a young man and a teenager. The detainees were identified as Taher Badarneh and Qasem Abu Baker. The sources added that Israeli soldiers spread on the streets of the southern neighborhood and al-Maloul area of the town and combed nearby areas. 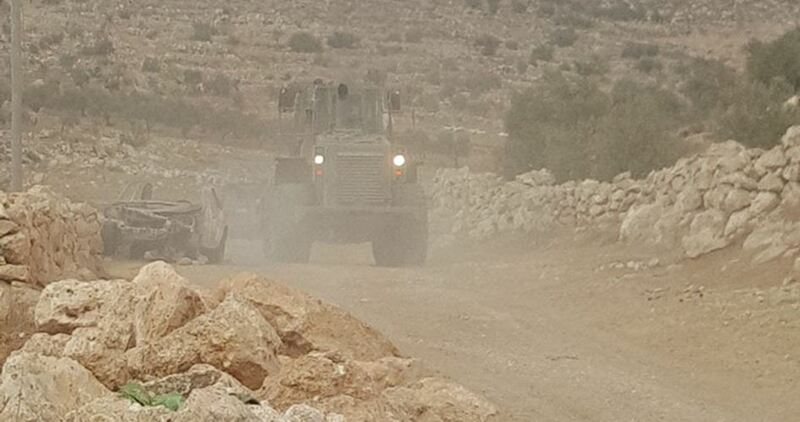 IOF soldiers also used dirt mounds to block another road that connects the towns of Beit Awwa and Deir Samet to the villages of al-Majd, Sikka, Beit al-Roush, Deir al-Asal and others and other villages southwest of al-Khalil in the southern West Bank. This came one month after IOF troops had set up a metal gate on the main road that leads to Beit Awwa and other nearby towns resulting in blocked traffic. The Palestinian Commission of Detainees’ and Ex-Detainees’ Affairs said there were still 11 Palestinian lawmakers in Israeli jails after the Israeli occupation authority (IOA) released on Friday MP Mohamed al-Tal. In a statement on Saturday, the commission said the IOA released MP Tal after he spent seven months in Ofer jail, pointing out that Tal underwent surgery a few weeks ago after he suffered a health problem. 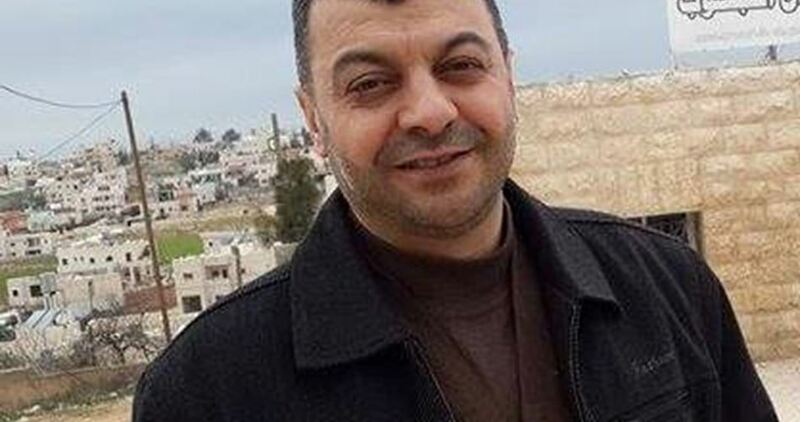 Among the detained lawmakers in Israeli jails, according to the commission, are Marwan al-Barghouthi, member of Fatah’s central committee, Ahmed Saadat, secretary-general of the Popular Front for the Liberation of Palestine, and Mohamed Mutair, a senior Hamas official. Israel arrested about 70 Palestinian lawmakers and administratively jailed most of them with no indictment or trial since 2002.